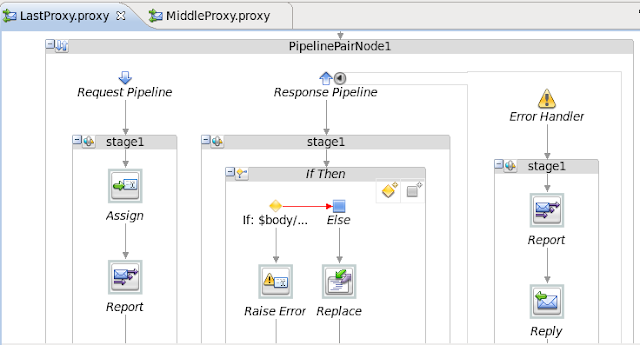 With the OSB Report Action we can add some tracing and logging to an OSB Proxy, this works OK especially when you add some Report keys for single Proxy projects but when you have projects with many Proxies who are invoking other JMS or Local Proxies than the default reporting tables (WLI_QS_REPORT_DATA, WLI_QS_REPORT_ATTRIBUTE ) in the SOA Suite soainfra schema is not so handy. This way I can build my own application which can display all this data, combine this for example with my ErrorHospital data. So in the next steps I will create a new EJB Application with a Message Driven Bean who reads this ObjectMessage and pass it on to an EJB Session Bean which will use JPA to persist the data in these two tables. This will enable the OSB Reporting. You also need plus you need to untarget the default JMS reporing Provider else both applications tries to read the JMS messages. Next step is to tune this MDB so it runs under the ALSBSystem role (ejb-jar.xml ) and in the weblogic-ejb-jar deployment descriptor I set the max and initial pool to 1, this way I can make sure that I have only 1 message record per conversation Id plus this MDB runs as alsb-system-user user. 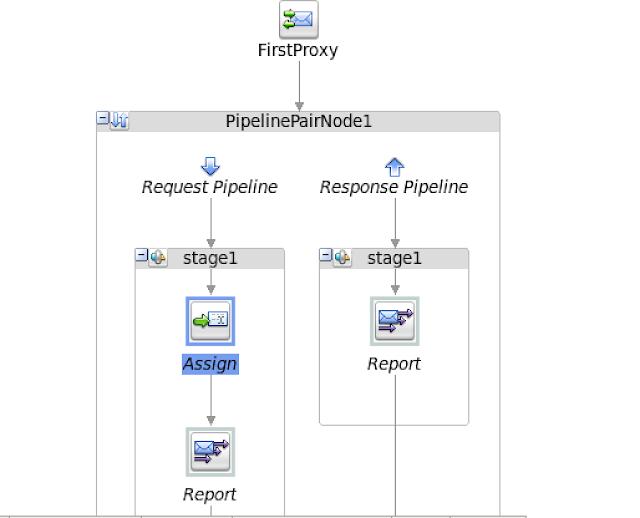 Add our two JPA entities ( message and message detail ) to the model project and create an EJB session bean with a local interface. This EJB will be invoked by the MDB and pass on the ReportMessage entity. The EJB session bean does all the heavy work, it needs to determine if the conversation record already exists and retrieve all the Report Action Keys ( message labels). 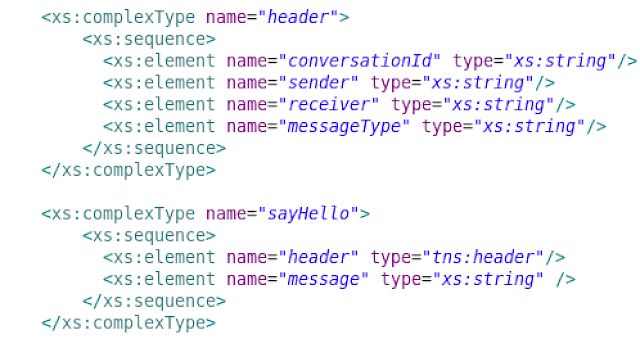 We also need a header element in our message body or header where we can store the conversationId and pass on the other Proxies so every report action can use these values as keys. 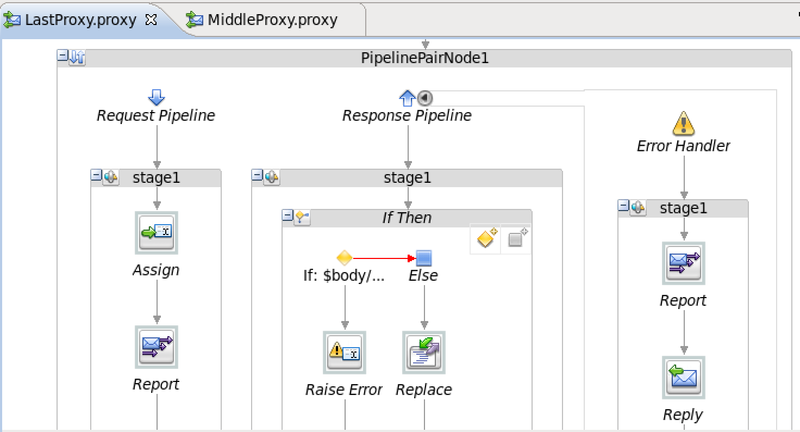 In every proxy I first need to add the internal OSB proxy messageID to a variable ( and do not pass it on ) I will do this in the first assign. This way I can use it in the Request and Response Report Action ( So I know which request ,response or error belong to each other). In the first Report action I also provided some extra data ( like messagetype, sender, receiver) this will also be stored in the message table. In the other proxies I only need to use the Conversation Id and the messageId of that proxy. That's all for the custom reporting part. Off course you can add extra field to these tables by adding your own report keys. 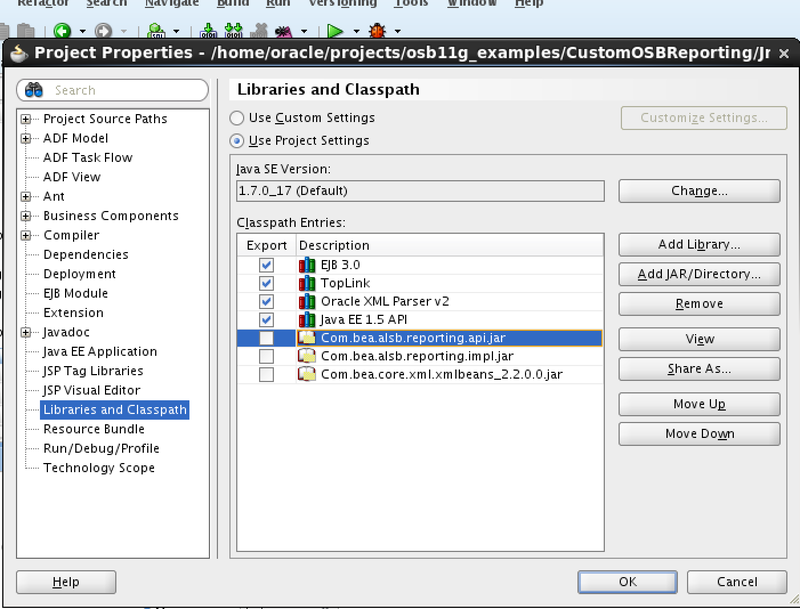 You only need to change the EJB and the JPA Entities. Here you can find all the code together with an OSB demo workspace.